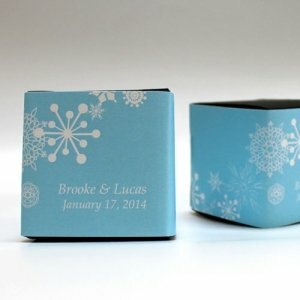 With these uniquely designed favor box wraps, decorating will be a cinch! 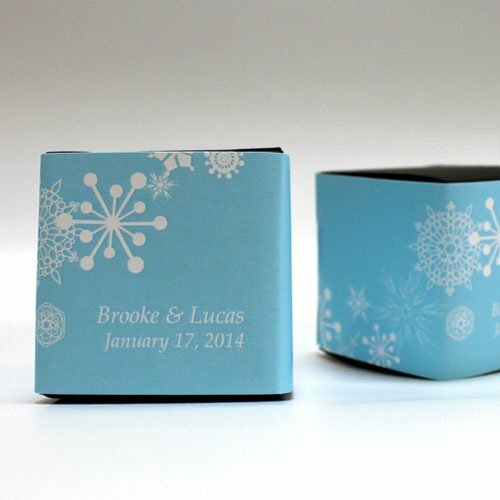 Purchase 2" square favor boxes (available in a number of colors, sold separately), then slide these wraps around each box and voila - a perfect match to your wintry theme! Minimal assembly is required to attach the 8 1/2" by 2" wraps to each favor box, adhesive is needed. 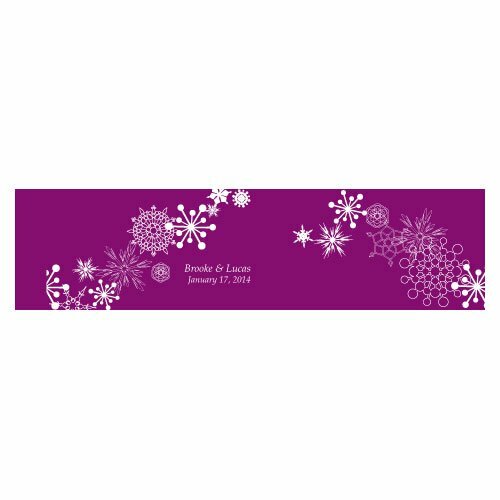 Wraps are sold in a set of 20 and are personalized with your names and wedding date on one of 9 background colors. Just as no two snowflakes are alike, your winter wedding will be one of a kind! Use our Winter Finery stationery to add a touch of snowflake sophistication to your invitations, personalized note cards, program paper and everything in between! 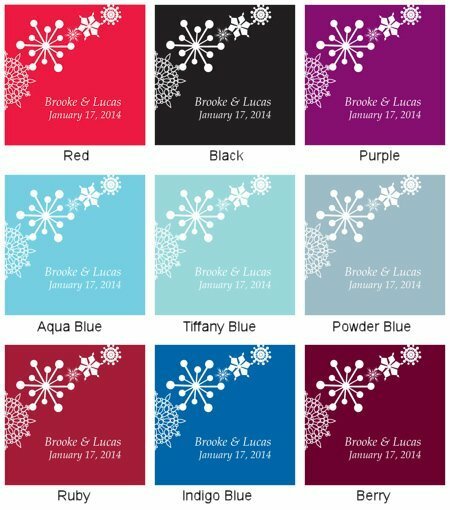 We offer 20 different items in a variety of colors to coordinate perfectly with your winter color scheme. Order a number of pieces for a cohesive look from start to finish. Sample Orders - If you would like to order a sample of this stationery collection, search for item X1008-19. You will receive a sample invitation along with a list of items and colors available with this design.